The 5/8" stainless steel all-thread mast is the simplest of the monumentation supported by UNAVCO. The monument consists of one length of 5/8" stainless steel all-thread, which can be cut to size in the field. The mast is set directly into a hard substrate. 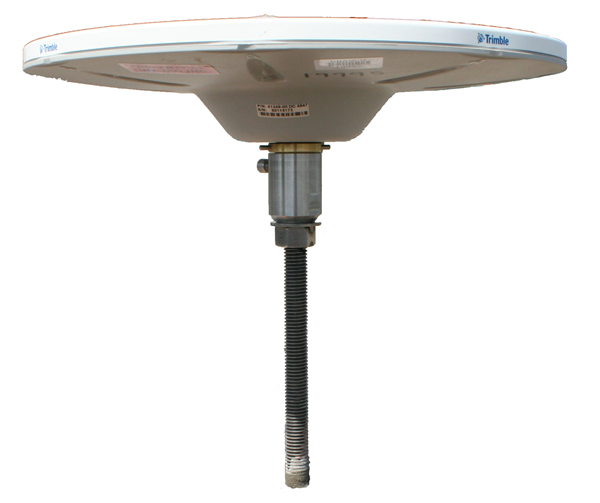 The mast is installed as close to vertical as possible; a stainless steel cup with a threaded brass adapter is generally used for the antenna mount, as shown here. The cup does not allow for precise leveling but does allow for the antenna to be oriented to north. These monuments are used throughout the semi-permanent GNSS network in Bangladesh and in Calabria, Italy (both M. Steckler, Lamont-Doherty Earth Observatory). 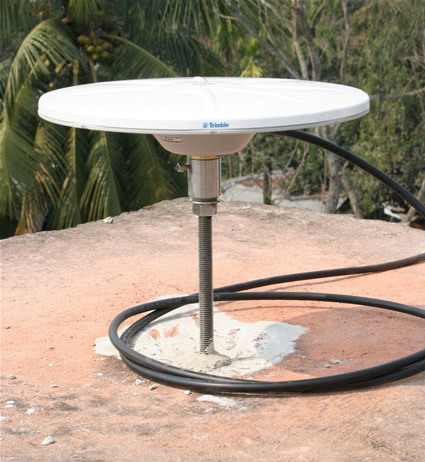 GNSS site in the Bangladesh network. A battery-powered drill is all that is needed for installation of the mast. 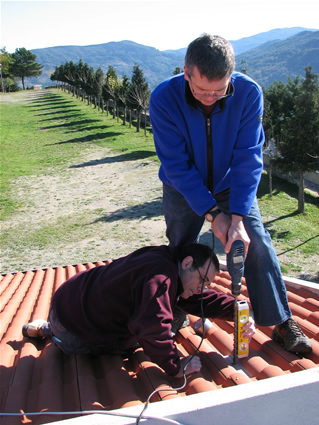 Mladen Nedimovic of Dalhousie University and Michael Steckler of the Lamont-Doherty Earth Observatory install a monument on the roof of a church in the Calabria region of Italy. This cost is for the monumentation only; the antenna mount is not included. A 5/8" threaded leveling mount can be used, but we commonly use a simple non-leveling mount consisting of a stainless steel cup holding a brass adapter. The antenna is screwed onto the brass adapter and can be rotated to north. The adapter is then held in place in the cup with a set screw. The monument itself is installed as close to vertical as possible. Posted by: Beth Bartel - Thu, Feb 18, 2010 at 6:54 PM. This article has been viewed 89476 times. We have these custom machined at McRoberts Machine Inc. (http://www.mcrobertsmachine.com) in Longmont, CO.